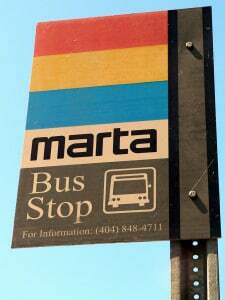 MARTA is becoming one of the most active real estate development partners in and around the city of Atlanta. If you look at a map of planned development, typically you will find a MARTA station as the centerpiece of past and upcoming mixed-use projects. That’s because two years ago MARTA made a commitment to put more residential units and retail space on land around its train stations. This is due in large part to a national trend of companies relocating headquarters to walkable, mixed use communities. Groundbreaking for these mixed-use developments for Arts Center, Oakland City, King Memorial, Avondale, Edgewood-Candler Park and Chamblee stations should commence by the end of 2016 and the Brookhaven project by 2017. And MARTA benefits as ridership increases as more people live, work and shop near the stations. The Brookhaven development project on MARTA’s Gold Line encompass​es​ a largely empty parking lot adjacent to the train station and, at 15 acres, represent​s​ the largest mixed-use project MARTA has attempted in the last two years. This type of development​ ​further heat​s​ up an already white-hot real estate market. The proposal include​s​ residential and retail space​, a park, a hotel​ and, possibly, include a new Brookhaven city hall and library. It is this type of development that young professionals demand and this demand will continue to drive Brookhaven home prices up. Fading from the landscape are the office parks and large regional malls. Urban, walkable districts with housing, shopping, dining and entertainment are the trend for millenials. Brookhaven, with successful, existing m​i​xed-use communities such as Town Center Brookhaven and Village Place (along Dresden Drive), should continue to attract and benefit from this type of development. For more information on the Brookhaven MARTA development, Brookhaven Marta Development.